Joining Jumia affiliate program might just be the best thing to do if you are looking for ways to make money off your Nigerian audience. There are various ways to make money online in Nigeria and one of the different ways is by being an affiliate marketer for good programs. So you know; affiliate marketing is one of the popular ways Nigerians use to make money online. This system of earning online is quite simple, or rather the definition makes it look so. As an affiliate marketer, all you need do is convince and make people buy products from online shops through a special link that you’ll get for being an affiliate marketer. There are various online shops in Nigeria with Jumia topping the list of the most used. Each day, people troop into the online shop to buy various products. Now, I wouldn’t say making money as an affiliate marketer is a very easy task as I didn’t do much in the Jumia affiliate program; but that is definitely for personal reasons. Jumia affiliate program gives individuals the opportunity to earn a percentage off sales when people they’ve referred to their website buys something. Review and promote products, then I see no reason why you shouldn’t join the Jumia affiliate program. Also, if you are wondering whether or not to join the jumia affiliate program because you feel you might not find interesting products to promote, you should know that Jumia offers thousands of products in various categories. On Jumia you can find electronics, game consoles, fashion products, beauty products, laptops, phones tablets and many more. There is definitely plenty of choice to make when it comes to choosing the best product to promote in order to make money from the jumia affiliate program. Literally, people will say you need a blog or website. But I’d like to debunk that. Even though it’s okay if you do not have a blog, creating one can be of great improvement to your earnings and promotion endeavours. A personal blog can help you promote better and even grab returning visitors outside your friends and families. First, visit jumia affiliate site and sign up by clicking the “BECOME AN AFFILIATE” button. After you’ve filled in the necessary details, click on “SIGN UP”. You would wait for an approval email because confirmation is manual. Once approved, a confirmation email that includes a link to the Jumia login page will be sent to the email address you registered with. It’s that easy sign up with Jumia affiliate program. • Once you’ve logged in, you will need to navigate to your affiliate dashboard and click on tools then select either banner or link builder. Banners are in picture formant and are usually meant for blogs and websites, so if you are using your social media accounts to work, you should generate text links with the link builder. • To get Banners for your blog or website, you need to select “Advertising Offer” (country of interest). Select Jumia Nigeria, if you are in Nigeria. Then choose your desired caregory by clicking on any of the the “Banner Folders”, then the desired “Banner Size” you want. Finally copy the “Banner Code” and place in your site. • To get affiliate text links, you need to select “Advertising Offer” (country of interest). Select Jumia Nigeria, if you are in Nigeria. (instructions below to successfully generate products affiliate links). One of the easiest ways of generating sales is by directly link to any product you’ll love to promote is by visiting the product page on Jumia and copying the page URL then pasting in into the “Page URL” text field. The product affiliate link will be generated and placed inside the “Final URL” box. The amount you make per sale depends on the price and sales commission of the product. Commission rate per products differs and if you are wondering which product is the best to promote, the image below has answers for you. Above is an image detailing the commission rate for products in Jumia Nigeria. For other countries, you can simply click on ‘commission model’ under support in menu. Jumia pays you directly to your bank account once you’ve reached the N5000 threshold..
Before you can start getting paid, you will need to add your bank account details. Clicking on the payment details from the menu will take you to a page where you are expected to input the details. To save you the stress of looking for your bank’s swift code, you can visit the swiftcodes to look up your bank’s code. 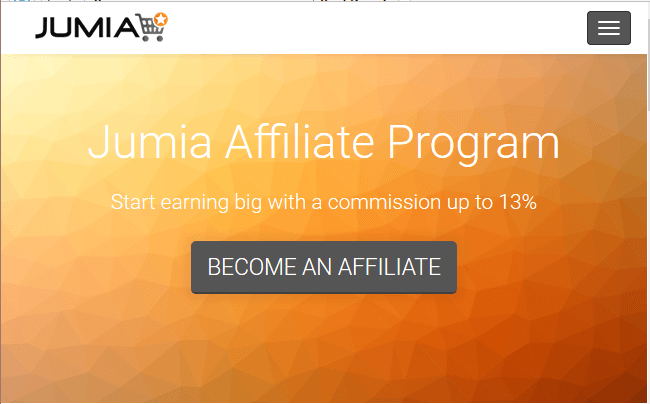 The main purpose of joining the Jumia affiliate program is to refer customers to their website, who in turn purchases something to enable you earn commissions. Note that you can not get paid for mere visits without purchase in the Jumia website.